After a somewhat disappointing outing in episode 4, Agent 47 disembarks in the USA for one of the best missions in the current season of Hitman. Set in a militia camp somewhere in the mountain ranges of Colorado, it’s our bald friend’s mission to take down not only one, two, or three, but four different targets, all parts of the up-til-now uninteresting background story. It seems someone’s responsible for every single one of his contracts since the first episode, and is now hot on 47’s trail to the United States. The thing that sets this one apart from the rest is its setting, an entire map that’s completely hostile, with few to no safe zones and a bunch of suspicious NPCs who aren’t keen on having uninvited guests. Unlike Paris and Marrakesh, which had their own restricted zones surrounded by free-roaming areas, Colorado‘s somewhat subdued camp setting is entirely guarded, adding another layer of complexity to the mission, starting with how you get actually into the complex. There are also “mini” zones you are required to obtain the correct disguise to get into. Given how horizontal this map is and the amount of targets you need to deal with, these spaces are all scattered around. It looks that IO is once again playing with the idea of breaking the mission into smaller set of problems, similar to the way older Hitman titles played in the past. Colorado proved to be an extremely satisfying hour and a half exploring and finding the openings I needed to eliminate all of the targets during my initial playthrough. I was able to perform my hits quietly, as is my usual Hitman M.O., stalking them as best as I could, and then taking a few chances that proved incredibly fruitful. 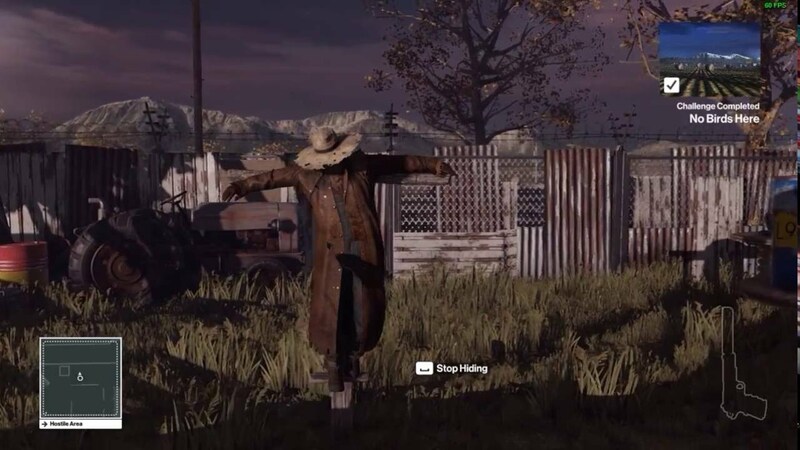 But considering the amount of options found in the open fields of the militia camp, I’d say I will probably spend double or even triple that time trying to find all possible ways to off everyone and max out my mission mastery rating. Colorado‘s mastery rewards are pretty neat as well, with special mention to the tactical (read: untraceable) baton, which I’ll gladly put to use in future assignments once I unlock it. And if the escalation missions are any indication, it’ll be extremely challenging to assassinate any elusive targets set in this level — for the uninitiated, these are one shot victims set in place by IO Interactive every couple of weeks who have to be eliminated within a limited window, before disappearing for good. As with the previous locations, Colorado is host to a number of incredibly interesting possibilities, which are more than teased during the story mission. Now that the story took mostly a turn for the better — there are still a few scenes after this episode that are a bit disjointed, hopefully for drama’s sake than anything — it’ll be extra exciting to see what IO has in store for the season finale in Japan, a location that agent 47 is no stranger of.